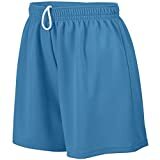 Save on Workout Shorts at Outdoor Resources. Top brands include Augusta Athletic, NIKE, & Athletic Works. Hurry! Limited time offers. Offers valid only while supplies last. Nike 7 Multi-sport Mesh Field Shorts Big Kids Style : 546098"